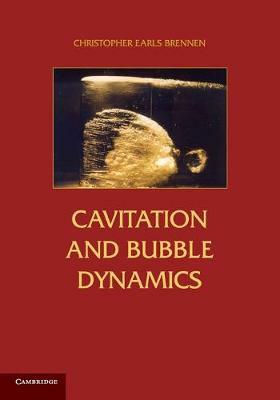 Cavitation and Bubble Dynamics deals with the fundamental physical processes of bubble dynamics and the phenomenon of cavitation. It is ideal for graduate students and research engineers and scientists, and a basic knowledge of fluid flow and heat transfer is assumed. The analytical methods presented are developed from basic principles. The book begins with a chapter on nucleation and describes both the theory and observations in flowing and non-flowing systems. Three chapters provide a systematic treatment of the dynamics and growth, collapse, or oscillation of individual bubbles in otherwise quiescent fluids. The following chapters summarise the motion of bubbles in liquids, describe some of the phenomena that occur in homogeneous bubbly flows, with emphasis on cloud cavitation, and summarise some of the experimental observations of cavitating flows. The last chapter provides a review of free streamline methods used to treat separated cavity flows with large attached cavities.